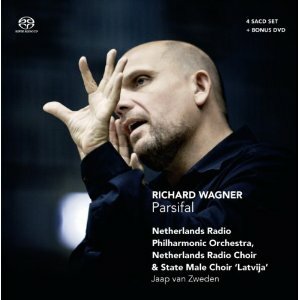 Parsifal on SACD – ears prick up! This recording has many virtues, not least of which is the sound quality, which is very fine indeed. It is a great performance too, not perfect, but what Wagner recording ever is? It is well cast, well paced, and imparts a real sense of theatrical drama, despite being taken from a live concert recording. The event it records was a concert performance at the Concertgebouw in Amsterdam in December 2010. As well as the four hybrid SACDs, the box also contains a DVD of highlights from the event. From a musical point of view, the DVD suffers from the bleeding chunks syndrome – just as you're getting into the music it stops and cuts to something else – but video does give an idea of the sheer visual splendour of the hall. It also shows that this was strictly a concert performance, with no "semi-staged" element. The size of the choir can come as a surprise on the audio recording (there are more Flowermaidens than I've ever heard before), but the sound of the ensemble makes more sense when you can see them all lined up on the stage. Before listing the recording's many merits, there are two issues which I suspect are going to make it contentious. The first is Jaap van Zweden's interpretation, which could best be described as matter-of-fact. Better that, I suppose, than going too far the other way, but this is a no-nonsense reading, with strict tempos and very few indulgences in the phrase shaping. Just listening to the first pages of the Prelude gives you an idea of what is to come. Zweden imparts solemnity to the music through his rigorous tempi, but with at a cost to the music's emotional engagement. This is more of an issue in some places than others. The Flowermaidens' music and the quiet opening of act three feel far too rigid, at least to me, while the Gail ritual at the end of act one and the dramatic conclusion to act two both come off better. The other major sticking point is the number of slips in the orchestral playing. No recording dates are given in the liner, but these localised problems suggest that, unusually, the recording was made at a single event, rather than the more usual two or three plus patch session. If so, that is perhaps to be lauded from the point of view of the coherency of the result. But Parsifal is a work with a long history of note-perfect recordings, so the splits and wrong notes from the orchestra really do stand out. In fairness, there aren't all that many of them, perhaps ten in the whole opera. The woodwind and brass are the culprits. The brass also struggle at times to play together. And the vibrato on the first horn solos isn't to my taste, although I suspect that is a trademark of Dutch orchestras. But those provisos apart, everything else on this recording is excellent. The casting is based on the principle that if you have world-class singers in the roles of Parsifal and Gurnemanz, everything else will fall into place. Klaus Florian Vogt and Robert Holl both have enviable reputations as leading Wagnerians, and their performances here are as good as any Wagner recording either has made before. Vogt has an instantly recognisable tone, intimate and sometimes narrow, but always with enough penetration to carry over the orchestra. Holl has all the vocal authority he needs for Gurnemanz, with plenty of support for the lower notes and impressive clarity of diction throughout. The rest of the cast is a wrung below these world-class talents, but still delivers the goods. The best of them is Krister St. Hill, whose Klingsor is among the most sinister on record, but whose icy clarity of tone is curiously seductive. Not being a big fan of heavy vibrato, I found Falk Struckmann's Amfortas and Katarina Dalayamn's Kundry both a little wobbly, but in all other respects they are both ideal for their roles. Ante Jerkunica sounds appropriately distant and drained as Titurel. His pitching sometimes veers towards the approximate, but again it is a performance that is ideal for the dramatic context. The sound quality is excellent, and anybody who has heard the recent Concertbegouw Orchestra recordings on their own label will know how well the hall responds to SACD reproduction. There is a curious paradox here, in that the hall's acoustic is so well represented that it is immediately clear that we are not in an opera house. Perhaps the hall is a little too resonant for the singers, although it is absolutely ideal for the orchestra, but whichever way, the sheer sense of atmosphere that it imparts is very seductive. The release draws inevitable comparisons with Gergiev's offering with the Mariinsky last year. Both are SACD recordings of concert performances of Parsifal. The comparisons go further still, in that both Zweden and Gergiev conduct the work in idiosyncratic ways. Both come from outside of the core German tradition, which may be the reason. Like the Gergiev recording, this one isn't going to be for everybody. Personally, I prefer Zweden's interpretation, I prefer his cast too. But they both have their merits, so to any Wagner fans who are feeling flush, I'd recommend buying both. The word 'ambitious' doesn't even come close to describing this inaugural release on Paul McCreesh's Winged Lion label. 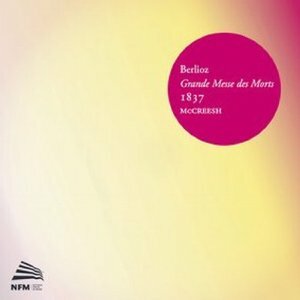 The Berlioz Requiem is a gargantuan work, and while it does get its fair share of performances, most rely heavily on amateur performers, and so don't reach the musical standards required of a commercial recording. But the number competent performers required is only one of McCreesh's problems, as he has chosen to record the work in Poland, and on predominantly period instruments. All of these issues have bearing on the results, but on the whole his collaborative, international approach pays off handsomely. For all the considerable merits of this recording, the benchmark Berlioz Requiem is still the Colin Davis/LSO version of 1969 (Philips 416 283-2). But the differences between the two readings are such that we are hardly comparing like with like. In fact, hearing McCreesh's version puts the Davis interpretation in a whole new light. Davis achieves gravity in this music through steady and, on whole, slightly slower tempos. He also uses modern instruments, and has a smaller choir and a dryer acoustic (the recording was made in Westminster Cathedral). The cleanliness and clarity of the sound all work in Davis' favour. But McCreesh is after something else. His choir is truly enormous, his orchestra mixes period and modern instruments (predominantly period instruments, but with the strings bolstered with modern instrument players) and, most significantly of all, the recording is made in the very resonant Mary Magdalene Church in Wrocław. He achieves a much more Gothic sound, more thundering in the Dies Irae, and more vulnerable in the quiet movements, especially the Quid sum miser and the Offertoire. Paul McCreesh talks in his liner note interview about the paradox in the work between its liturgical and operatic identities. By comparison with Davis' very operatic reading, McCreesh has made an excellent job of reclaiming its liturgical side. His tempos are surprisingly fluid, especially given the size of the forces he is coordinating. The drama in many of the movements, especially the Dies Irae, is significantly increased through subtly graded tempo changes. McCreesh is more faithful than Davis to Berlioz' many articulation and dynamic markings. The orchestration and chord voicing in much of this music is very strange indeed, and McCreesh makes no effort to normalise or flatten out these anomalies. The results seem truer to the composer's conception. The sheer size of the forces here means that coordination is never going to be absolutely precise, and that is the main virtue that Davis has over McCreesh. It is a tricky balance with a work of this scale, you either have a choir big enough to shake the earth or one modest enough to maintain the intonation and ensemble you are after. And in a sense, the slight inaccuracies of the massed choral singing increase the sense of scale. Without actually having been there, the listener gets a better idea of the sheer size of the performing group from its occasionally approximate synchronisation. The tenors in the choir sometimes struggle with the higher notes, but again, when this happens it seems that Berlioz is deliberately stretching them for dramatic effect. On the other hand, the tenor soloist, Robert Murray, is ideal in the Sanctus. He gives a beautifully lyrical and French-sounding performance, briefly recapturing the operatic side of the work. There are some revelations in the orchestral playing that you'll never get from modern instruments. The woody woodwind solos all have real character. The hybrid string section plays with minimal vibrato, but with sufficient power, especially at the lower end, to balance what is going on behind. But it is the brass and percussion that are truly revelatory. Narrow bore trombones can sound dreadful in the wrong hands, but here they sound just great, bringing real focus to the Tuba Mirum and a wonderful earthy quality to the pedals in the Hostias. The horns are often required to play stopped notes and various other constrained and muted sounds. The narrow bore instruments here achieve those effects far better than any modern instruments. And in the percussion, the small tinny cymbals add a fascinating colour, while the period timpani increases the percussive quality and reduces the resonance and fixed pitch of their sound. The packaging is unusual. The discs come in a shiny silver slip case, which when you turn it over gives the full info in Polish. It's all very innovative, although I do have a few small grumbles. The two exterior faces are identical, so you are actually reading the text inside before you have worked out if it is the English or the Polish side you are looking at. When you have worked that out, there is no track listing on offer (Disc 2 begins at the Offertoire if you're interested), and the catalogue number is only given on the underside of the discs. Hugh Macdonald's liner note, informative as it is, is just a rehash of his preface to the 1978 Bärenreiter score. Nevertheless, this release is a very promising start of Paul McCreesh's new recording enterprise. As the many Mahler 8s that are appearing on the market at the moment demonstrate, it can be very difficult for a conductor to make his mark on a very large scale work. The practicalities of performance usually end up ironing out the interpretive individuality. But McCreesh has done something genuinely new and interesting with the Berlioz Requiem. If future releases on Winged Lion are as distinctive and accomplished as this, it promises to be one of the more worthwhile of the many own-label projects currently taking over the market. 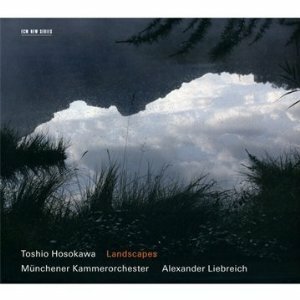 Programming a whole disc of music by Toshio Hosokawa must be a tricky job, as the similarities between his works seriously outweigh the differences. The result here is a typical ECM ambient/world/contemporary classical mix, rarely reaching above the mezzo forte, and with no disconcerting changes of pace or mood. The focal point for all four of these works (even the one in which it does not appear) is the shō. This mouth organ type instrument has become a favourite with Japanese composers of 'Western' classical' music, at least since Takemitsu's Ceremonial in the early 90s. In some senses, its presence is very restrictive, it is very quiet and in cannot play fast. But its soundworld is unique, all airy wispy chords subtly blending into each other to create a continuum of sound. Hosokawa, like Takemitsu and others before him, explores how an orchestral string section can complement this esoteric soloist. His solution is to write string music that breathes with the shō. Chords, often of inscrutably complex construction, emerge from nothing and then swell into the foreground, before receding back to silence. The sensitivity of this approach is laudable, but the variety within it is at a microscopic level. The frustration for the listener, or for this Western listener at least, is that the music seems essentially ambient, yet you can't just let it flow over you. To pick out those tiny changes and developments you must listen hard, but there just aren't enough notes to justify that level of concentration. Nevertheless, there is variety here. The first work, Landscape V, is an arrangement for shō and string orchestra of a work originally written with string quartet accompaniment. Then comes Ceremonial Dance, also for string orchestra, although this time without shō. Even so its presence is felt throughout, and this is a work very much in the same spirit, ambient and intellectual in equal measure. The last work on the disc, Cloud and Light, ambitiously couples the shō soloist with a full orchestra. The variety of colours offered by the wind and percussion is very welcome, and there is also a greater variety of pace, with the louder sections nudging the speed up just a little. But the phrasing here is still based in the in-and-out breathing of the shō soloist, so the music is essentially just a small progression on from the string writing in Landscape V.
The most impressive piece on the disc is the third track, Saukua für Otto Tomek. This is a work for shō solo, without the trappings of a string section or orchestra accompaniment. The music has its roots in a Japanese folk song, although the lineage is complicated. Hosokawa made a choral arrangement of the song, which he prefixed with this shō solo. The resulting work seems too abstract and ambient to actually be a song setting, but the range of sonorities he draws from the instrument is magnificent. Writing for the shō must be a specialist skill, requiring a deep knowledge of the instrument's mechanics and history. Coupling it with Western instruments is harder still, and the other works on this disc show that the results are inevitably going to be hit and miss. But in this solo work, he manages to combine advanced harmonies and elegant atmospheric writing with the instrument's distinctive musical identity. In comparison, the orchestral writing in the other works, competent as it often is, just seems like a distraction. William Tell is always going to be a problematic work. There is plenty of drama in there, but the shape of each of the acts never quite makes musical sense. The characters seem well defined in isolation, but are all curiously similar when heard together. Most problematic of all is the overture, which is both unrelated to the opera proper, and which easily overshadows everything that follows it. Antonio Pappano gives us a warts-and-all concert performance, with no real efforts to excuse or smooth over the score's many problems. Large, but apparently conventional, cuts are made to the third act, and while I don't know what I'm missing, what remains seems plenty long enough. 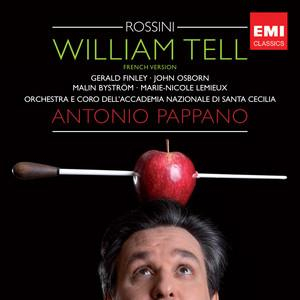 But Pappano's genius with opera, and especially Italian opera, is to bring out the drama and the urgency in every bar, and that is exactly what he does here. The performance of the overture is exemplary, with lots of bass, lively percussion and wonderfully free woodwind solos. The quality of the music immediately drops when the singing begins, but the performance maintains the pace and continues the drama of the overture well into the first act. Pappano has assembled a fine cast, and Gerald Finley's many fans are not going to want to miss his rendition of the title role. He is more subdued than most of his colleagues, not quieter as such, but always singing with a round, intimate tone that endears every phrase. The other soloists are perhaps more stylistically suited to Rossini's overt vocal writing, but Finley's sophistication is a welcome contrast. I've just been reading Richard Osborne's review of the recording in Gramophone, and it is clear that he likes it less than I do. I certainly agree with his point that the sound recording is not ideal, although most of the soloists come off all right. The choir sounds distant and generalised though, and the back of the orchestra sounds better than the front for some reason. But for all that, the general impression that the sound recording gives is of sharp-edged and crisp precision. When Pappano builds up one of Rossini's famous climaxes in the choir and orchestra, the audio is able to intensify everything, even though the details remain obscured. Osborne's main criticism, and I certainly agree with this myself, is that the release is obviously a by-product of a live performance (or rather six), and the live situation causes more problems than it is worth. Not so long ago, a label like EMI could be relied upon to take projects like this and devote studio time at Abbey Road to getting them just right. Of course, the finances at EMI now mean that it is a miracle they are releasing any CDs at all, so perhaps we should think ourselves lucky. The liner demonstrates the dichotomy. We are given the full libretto in French and English, something only a major label would do. But the rest of the liner is pretty inconsequential, and light-heated in a way that really jars. There is even a picture of the Lone Ranger on the inside of the back cover – there's no need for that, surely? 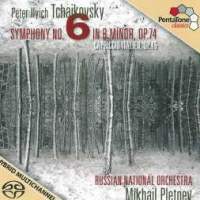 Tchaikovsky fans will no doubt already have shelves bulging with superlative 6th Symphony recordings, but they should do their best to make space for Pletnev's latest, which is as good as any. It is in fact the third time he and his Russian forces have visited this score. Their knowledge of it pays dividends, and there is never any sense that over-familiarity is breeding contempt or boredom. Every phrase sounds like you are hearing it for the first time. There is nothing particularly radical about the reading, but the freshness and energy of the orchestral playing endear every phrase. And Pletnev achieves an impressive balance between the suave elegance of the dance passages in the first two movements and the sinister moods later on. The opening too is fabulous, with real atmosphere and dark foreboding. The Polyhymnia team make a great job of the sound recording. They too manage to square a circle by giving us both absolute clarity to all the orchestral textures and a seductive sense of atmosphere. SACD audio usually manages one or other, but rarely are we afforded both. I particularly like the bass in the mix, which is clean and penetrating, but never exaggerated. So the double basses balance well with the rest of the strings, but when the bass drum is required to cut through, it does just that. Excellent playing from every section of the orchestra. The strings play with precise ensemble, but also manage an impressive array of colours and moods. The woodwinds each bring a strong sense of individuality to their solos, enriching the corporate identity of the orchestra rather than compromising it. The brass are powerful when needed, but always have an elegant tone, and come into their own in the pianissimos, especially the trombones. The ending of the first movement is particular treat, with the trombone section matching the elegance of the strings that precede them, and bringing it to a conclusion with all the grace and precision you could want. I'm at a loss to understand why anybody could every want to listen to the Capriccio Italien more than once. It is surely one of the most trivial orchestral works ever composed. And tacking it onto the end of the sublime 6th Symphony only emphasises its insignificance. Even so, the performance here is very good, and if nothing else, the work acts as a showcase for Pletnev's impressive orchestra. Pretty much every section gets a moment in the spotlight, and all play to an equally high standard. The recording was made in Moscow in June 2010 (a studio rather than a live recording, which is all too rare these days). Only a few weeks later Pletnev found himself under arrest in Thailand. The charges were later dropped, but not before the whole affair had forced him to cancel appearances at the Proms and the Edinburgh Festival. Tchaikovsky had been on the planned programme for both events. Listening to this recordings gives an idea of what those audiences last summer missed. 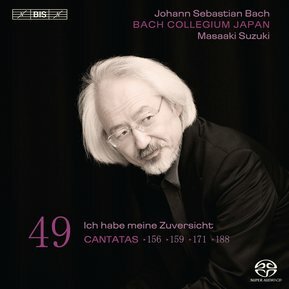 Suzuki Bach Cantatas 49 "Ich habe meine Zuversicht"
Masaaki Suzuki writes that "The history of transmission of [Cantata BWV188] can only be described as highly unfortunate." That's the understatement of the century. The first movement of the work, a glorious organ solo, became detached from the manuscript at an early stage. The rest of it remained in one piece until some point in the 19th century, when it was cut into strips and distributed as relic-like souvenirs. Fortunately, it has proved easier to reconstruct than many of Bach's missing cantatas. And all the works on this disc are from 1727-8 a period of extraordinary cantata loss. It is thought that Bach wrote a cantata for every Sunday over that year, each to a Picander text, but only a handful survive, and many of those only in fragmentary form. Suzuki, to his eternal credit, looks on the bright side of this situation, saying that he looks forward to lost cantatas resurfacing as they surely will at some point in the future. When that happens, he will no doubt have to pick up where he left off with his cantata cycle, now nearing its end. It is proving to be one of the best cycles, and possibly the best cycle to have been put down. It is certainly the most consistent in terms of style and quality, and if you know any of the previous instalments, you'll know what to expect here. The four cantatas BWV156, 159, 171 and 188 have just the right balance of stylistic consistency and variety between them to make for a satisfying album. The first two, Ich habe meine Zuvershicht and Ich steh einem Fuss im Grabe, both open with a concertante instrumental movement, for organ and oboe respectively. And both those solo instruments remain as an obbligato presence throughout each of their respective cantatas. I'm guessing that organist Masato Suzuki is Masaaki's son (frustratingly he doesn't get a bio in the liner). He is certainly a musician in the same spirit and of the same skill as the conductor. Like everything on this disc, the organ playing sounds free and vital, yet the registration choices are restrained and the rubato is kept to an absolute minimum. It is great to finally hear the organ of the Kobe Shoin Women's University Chapel. The organ, which sits atop a rood screen, has been pictured in every volume of the cycle to date, but this is the first one I have heard it in. It has a satisfyingly rustic, early German sound, but is of course in tip-top condition with excellent internal balance and a beautifully sympathetic relationship with the chapel's acoustic. Masamitsu San'nomiya is the oboe soloist in BWV156. This too is a masterful performance, again freely expressive and warm, but without any ostentatious ornamentation and hardly any rubato. Another feature linking two cantatas on the disc (BWV 156 and 159) is the device of an aria based on a chorale, where the freely inventive solo line is given to a lower voice, and the choral theme is sung in unison by the sopranos of the choir. Perhaps it was Suzuki's idea to contrast the solo line with the unison voices for the chorale. If so, it is a stroke of genius, a beguiling mash-up of the two genres. Both movements are taken surprisingly slowly, and I'd imagine that many or most in the period performance movement would consider this an indulgence too far. But Suzuki knows when to base his work on scholarship and when to follow his musical instinct, and his instinct rarely fails him. Presumably Suzuki's musical instincts are given free reign these days when it comes to choosing vocal soloists. The four here, Rachel Nichols, Robin Blaze, Gerd Turk and Peter Kooij, all seem like old friends, and have made numerous appearances in previous instalments. All are on top form and do Suzuki proud. Nichols only has one aria and one recitative this time round, but makes up for the lack of quantity with quality of the highest order. Blaze and Turk have the bulk of the solo work. Both have a few minor intonation problems, Blaze at the top of his register, Turk at the bottom, but nothing to worry about. Kooij has seemed past his best on recent instalments, but Suzuki has kept faith with him, and it has paid off handsomely here. His tone is warm and elegant, and never strains at either end of the register. Another instant classic then from Masaaki Suzuki and his Japanese forces. There can only be a few more releases to go before this cycle is complete. (The Harnoncourt/Leonhardt cycle ran to 60 discs, but I'm sure that with today's technology and some forward planning, BIS will bring it in on a few less.) I'll miss these new releases when they do finally stop appearing, especially if, as seems likely, the remaining discs are up to these impressive standards. Bruckner's Symphony no.0 is a better work than its designation suggests. The composer was in a typically self-critical frame of mind when he decided to withdraw the symphony before it had ever been performed. Listening to this recording it seems he was being very harsh on himself. It is pure Bruckner, and everything that you'll find in the later symphonies, the opulent string writing, the floating woodwind obligatos, the brass chorales, are all here in one form or another. Of course, it is less sophisticated than any of Bruckner's mature works. The harmonic language is predictable and unimaginative, and the themes are short and often uninspired, in fact most of them are just scales. But Bruckner devotees shouldn't be put off by any of that, because the sheer symphonic atmosphere of this piece is its salvation. That is clearly the way Stefan Blunier reads it anyway, and he gives us a reading which shows off all the finest qualities of the score, and without dwelling on its deficiencies. 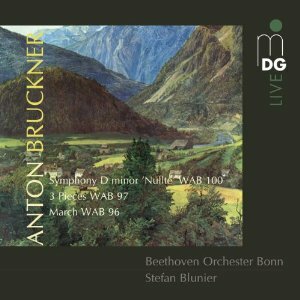 I always like recordings of Bruckner's early symphonies that treat them as equals to the composer's later works. Blunier does that, but this symphony require a few provisos. The fact that it is so much shorter than Bruckner's later symphonies, and that it doesn't have the same interest of detail, means that you can't make too much out of it. So Blunier gives us a relatively opulent reading, but never overindulges in rubato or extreme dynamics. The shorter spans of the individual movements allow the structure of each to come through clearly without any special efforts on the part of the conductor. Nevertheless, the whole work benefits from Blunier's careful pacing and precise balancing of each tutti against the last. The Beethoven Orchester Bonn are, at least on the strength of this disc, ideal Bruckner interpreters. They are able to produce big, warm sounds that rarely seem unfocussed, and their sense of symphonic drama is always convincing, even when Bruckner uses fewer notes than you might expect to create his broad textures. The SACD sound also emphasises the overall picture over the details, which also works to the strengths of this score. Balance is good between the sections and the ambience of the hall is warm without being over-resonant. While I'd recommend this disc to Bruckner fans, I don't think it is the best way into his music if you haven't heard his mature works. This is especially true of the very early March and Three Pieces that conclude the programme. Again they show the distinctive Bruckner sound in the process of emerging, and include some important pointers to the style of his later works, especially his use of various musical genres within the symphonies. But on their own merits they don't have a lot to commend them. They are proficiently composed and orchestrated I suppose, but uninspired. But many Bruckner enthusiasts out there probably think they own recordings of the every work the composer wrote, but have overlooked these. To them, this disc will be of special interest. The symphony should have broader appeal, and is certainly a satisfying listen. Just don't judge the composer on it if it is the only piece of his you've ever heard. András Schiff is not one to follow the crowd, so even in this much-recorded repertoire you know you can expect something different. These Schumann interpretations are head and shoulders above any other recent releases of the composer's piano works. There is astonishing clarity of line and texture, intellectual focus in every interpretive decision, and a palpable sense of immediacy all too rare in studio recordings of piano music. That said, you might find the playing here a little unfriendly the first time you spin the discs. 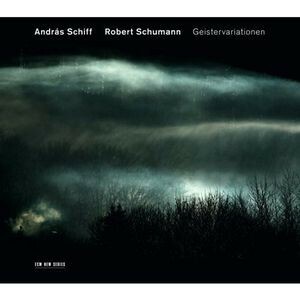 Schiff has too much respect for his own art and for that of Schumann ever to pander to his listeners. Most other pianists go out of their way to make this music flow, in spite of the music's often angular structuring and unintuitive tempo and key changes. But all those potential difficulties are highlighted by Schiff, who gives us a fascinating insight into just how radical and forward-looking much of Schumann's piano music actually is. You couldn't call Schiff's readings "Romantic" as such, but then they are not rigid or formal either. Tempo and dynamics are in a constant state of flux, but every change, however slight, is always part of a wider interpretive strategy. Schiff has clearly thought hard about this music, but the deep intellect that underpins his playing never makes the performance sound over-intellectualised or over-planned. There is a clear link with Alfred Brendel here, but while Schiff thinks as hard as Brendel does (or did) about his playing, he is able to bring an even greater sense of immediacy and energy to balance that intellectual side. And like Brendel, the sheer physicality of Schiff's playing grounds everything in the present. There are flights of fancy and metaphysical asides, but everything in these performances comes down to the simple act of communicating through the piano keyboard. The sheer quantity of detail, especially in the inner parts, is another feature that sets Schiff apart from his many competitors in this repertoire. The C major Fantasy and the Waldszenen in particular benefit from this focus on the minutiae. Just as importantly, Schiff always maintains an ideal balance between the melodies and the accompaniments. True, other pianists let the melodies flow more, but Schiff is just as aware of the structural significance of Schumann's long phrases, and of their extraordinary inner beauty. A double-disc release from ECM is a rarity, but Manfred Eichner is clearly willing to bend the rules to accommodate this world-class pianist. The second disc is the place to start, that's where you'll find the mature masterpieces, the C major Fantasy, the Waldszenen and the Ghost Variations. Disc 1 is more of a bonus offering, adding a complement of Papillons, Kinderszenen and the Op.11 Sonata. The performances are all to an equally high standard, but composition-wise, disc 2 is in a different league. Navigating your way round the tracks can be a bit tricky. There is no track listing on the back of the card sleeve, nor on the back of the box. ECM's typically comprehensive notes mean that the liner is difficult to extricate – not a big problem but frustrating when you only want to see the track listings. Otherwise, this is an excellent release. The sound quality is good, less resonant in fact than most ECM piano recordings, making it ideal for Schiff's detailed yet atmospheric playing. Highly recommended. Dieter Oehms clearly knows that he is onto a good thing with Ring cycles from German opera houses. Both Hamburg and Frankfurt have cycles coming out on the Oehms label, not to mention a recent Tristan from Vienna, and a Wagner highlights disc from Bratislava. Wagner sells, or rather the idea of respectable performers recording Wagner for a label known for its high audio standards sells. My understanding though, is that most if not all of these productions are recorded in-house then sold as more or less a finished product to the label, so audio standards are unlikely to be uniformly high. I mention all this because I have recently been reviewing the Rheingold from Frankfurt on the same label, and while both are good, this Hamburg Siegfried doesn't quite come up to the standards set in Frankfurt, either technically or artistically. This is probably an unfair comparison though, because the Rheingold is one of the best Wagner recordings I have heard in recent years. And this Siegfried certainly has its merits. The cast is good, the orchestra is precise and clear, and the interpretation is coherent and symphonic. Simone Young is clearly on top of this score. She keeps impeccable balance in the orchestra, seems to communicate well with the singers on the stage, and finds some real drama for the more turbulent sections. I'm not completely convinced though by her interpretation. The music making often seems very safe and the tempos often feel rigid. Wagner always requires a balance between dramatic urgency and motivic clarity, but Young almost always errs in favour of the latter. The cast is good, and the dramatic characterisations from many of the singers compensate for the lack of excitement from the pit. It is a score dominated by bass and baritone roles, and all are impressively sinister. Wolfgang Galliard as Mime and Wolfgang Koch as Alberich are each a menacing presence in their own right. Fortunately, they are easy to tell apart as well, making it possible to work out what is going on in the third scene of Act 2. Galliard has a tendency to slide around between the notes, which can get annoying, although contributes well to characterisation. Diogenes Randes is another appropriately sinister presence in the role of Fafner. He doesn't quite have the weight on those low, low notes, but otherwise is the ideal singer for the job. Ha Young Lee sings the woodbird with lots of vibrato, which could sound crass in other contexts, but gives this role valuable colour. Falk Struckmann, probably the most famous Wagnerian in the cast, is his usual dependable self as the Wanderer. He is somebody we are hearing a good deal of on disc these days, and with good reason – I'm looking forward to his Amfortas from Amsterdam. After two acts of good but unexceptional Wagner, this performance finally takes off in the third. Deborah Humble is an authoritative Erda, but even better is the interaction between Siegfried and Brunnhilde that makes up the last half hour or so. 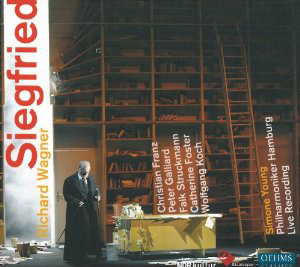 Christian Franz is a complex Siegfried. He has all the power, not to mention the stamina, he needs for the many challenges of the role, but he is at his best in the tender and quiet moments. In these, he often drains the voice of all colour to approach a speaking tone, giving welcome respite from the musical saturation of Wagner's score. Catherine Foster is a British Wagnerian soprano and she is very impressive indeed. The success of this third act rests largely on the dramatic and vocal heft of Brunnhilde, and Foster has both. Everything really comes together in this last scene, with Franz and Watson providing the drama, while Simone Young and the orchestra support the action, always keeping an eye on the details, and never letting the balance go awry. The sound quality is good, but again not up to the standards achieved at Frankfurt. The singers don't seem to be as close to the microphones, and often when they are upstage they can sound very distant indeed. The recorded sound of the orchestra also lacks immediacy. Fortunately, the clarity of the orchestral sound doesn't suffer, with each of the sections clearly distinguishable and with impressively relayed bass, especially from the lower brass and bass clarinet. From the production stills in the liner (which includes full libretto and translation), it is clear that this is one of those German regietheater-type Ring productions that usually get a bad press when they arrive here on DVD. CD listeners need not worry too much about that though. Apart from the distance from the singers to the microphones, the staging has little noticeable impact on the sound recording, with virtually no stage noise or audience interruptions. A serviceable Siegfried then, but not an exceptional one. There are no weak links in the cast, the orchestra plays well, and the recorded sound is up to the standards you'd expect from a German house. But nothing really excels, and there are certainly more competitive recordings on the market.